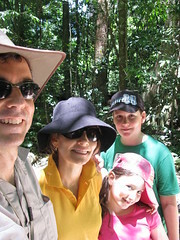 To celebrate Australia Day, Liz and I took the kids for a walk through the rainforest in D’Aguilar National Park. There are various traditional owners of the D’Aguilar Range area, including the Turrbal, Garumngar and Jinibara Aboriginal people. 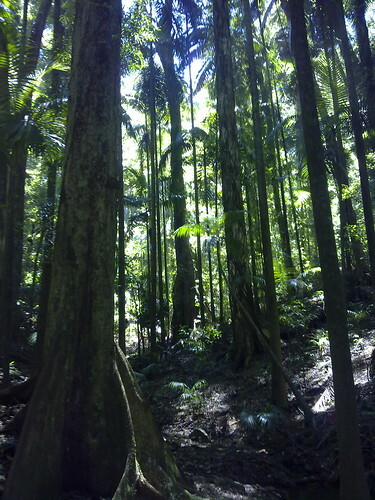 The country is magical: the calls of Bellbirds ringing in the forest, the cool mountain breezes, the dense rainforest and the towering majestic tress. I can only wonder what it would have been like thousands of years ago before European settlement. 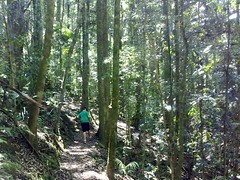 We started our walk through the “Rainforest Circuit” in the Maiala section of Mount Glorious. 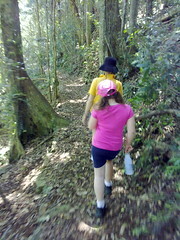 We followed an easy 2km trail through some lush rainforest. 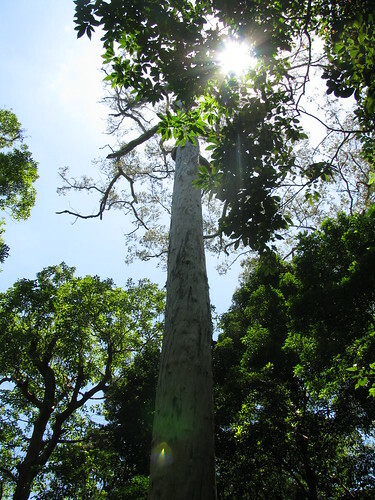 At different points in the forest we spotted giant Sydney Blue Gums towering over the forest. Before this area was logged in the 19th century, the area was full of these majestic trees. Now they’re much scarcer. 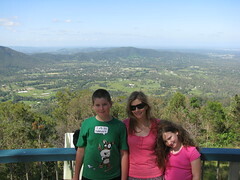 We then finished our walk following the trail from the “Western Window” lookout, through the bush back to the car park, before driving down to Jollys Lookout for some stunning views of the Greater Brisbane Area – no wonder Lord Mayor William Jolly built a road to it in the 1930’s!